Janine Shepherd was an elite athlete known as “Janine the Machine.” It was on a bike ride with her teammates while Training for the olympics that tragedy struck….she was hit by a truck head on. Janine woke up 10 days later in the ICU with her neck and back broken in multiple places, collapsed bones and ribs and paralyzed from the waist down. She spent 6 months in the spinal ward trying to wrap her mind around what had happened to her. Her body – that body that had defined her – was no longer Janine the Machine. With all consuming pain, no movement from the waist down, a catheter bottle that would become part of her, Janine recalls feeling like she was in another world -like she was in a life that was meant for someone else – not her. This post is sponsored by Basis. Sooooooo. There’s a lot going on. The past few weeks have been extra crazy and something about last week’s full moon really set everyone off. The girls and I were all kind of grouchy, we slept terribly, and P and I were both very emotional. Last Wednesday while the girls were at school, I started crying and was weeping until it was time to pick them up. While I was at home, I had some tea and crawled into bed for a bit, and when I got up and checked my email, already feeling much better, there was an email from Basis asking me if I’d like to try their new mental health services. Talk about perfect timing, right? – You pay $35 to speak with a trained specialist when you’re going through a tough moment or situation. 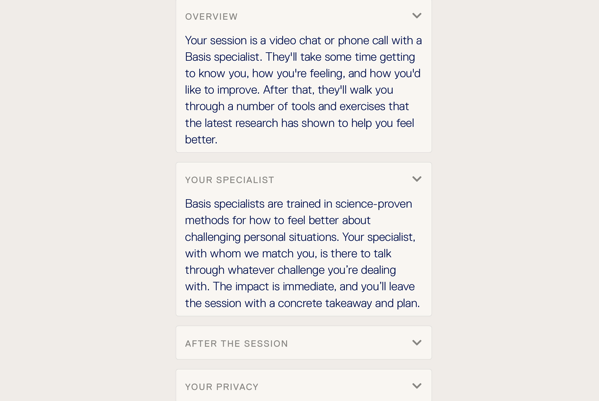 The specialist uses science-backed approaches to help guide you to solving the problem and the 45-minute phone call or video chat will leave you with actionable steps and perspective. – You can schedule the chats to fit with your schedule and do not have to buy a package or monthly subscription. You can literally “drop in” for $35 for each session, which to me is considered a steal for a talk sesh + help determining a plan. When you sign up, you can briefly describe what you’re going through and request a female or male provider. You can also pick a topic where you’d like to focus and I picked parenting. 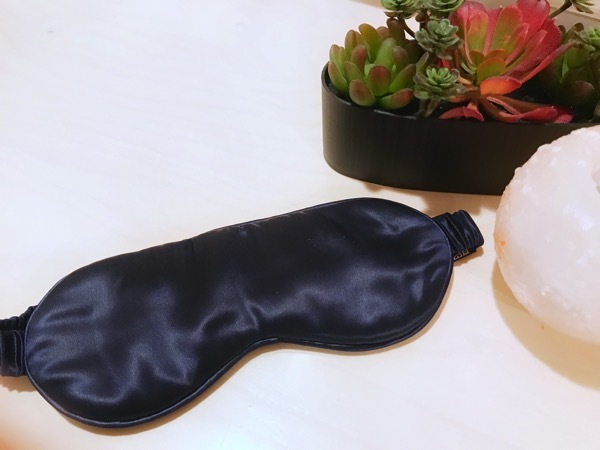 I scheduled a call with Meagan and was really looking forward to chatting with her about the stuff that’s been going on, mostly regarding our sleep issues. You guys. I was SO DANG SMUG when both girls slept through the night from when they were babies until they were 2ish. I read The Baby Whisperer, followed her steps, and BOOM. Perfect sleepers for the most part. Then when they each turned two and figured out they could get out of their crib (or bed), that’s when things got rough. I’ve done so much research, we’ve tried so many different things, and I can’t get them to stay in their beds for a consistent amount of time. (Usually if they do it, it’s a fluke. Or we just stayed up way past their bedtime dancing at the Greek Festival.) This is a huge reason why I love traveling and hotels so much. They sleep through the night because we’re all in the same room! Everything I’ve seen online recommends traumatizing them somehow. Ok, I could lock the door. And I’d have two screaming, inconsolable children in the hallway and I’d never go back to sleep. I know that Liv also has anxiety, which is something that affects me, and I don’t think that it would be a smart idea to lock her out of our room. I was really interested to talk to the Basis specialist to see what she had to say. So, this session was very unlike therapy. She didn’t ask, “How does it make you feel?” or tell me exactly what to do. Instead, she guided me to resources online and helped me think of some ideas to change the situation. For example, we came up with the game to tiptoe like a mouse into my room. We practiced it last night (with a contest to see who could be the quietest mouse) and the girls were both so sneaky and quiet in the middle of the night. We also tried to think of some ideas to motivate them to stay in bed, the way they feel motivated to behave in church or get ready for school on time. They just know and do it. The session was the most helpful because I could just freely talk to someone. Sometimes I use my mom or my friend Betsy as a sounding board for whatever’s going on, and I don’t always want to be a Debbie Downer, ya know? It’s nice to have a neutral outside party that will chat with you about challenging situations. It’s also worth noting that I checked out some similar services online and many of them had a therapist checking in on me multiple times a day. It already takes me 5 business days to respond to texts so I’m sure that would just add to my stress haha. Many of them also required monthly subscriptions. If you’re interested in trying out Basis for yourself, especially as things get stressful or busy, here’s my referral link to give it a whirl. It will give you $20 off! Hope you have a wonderful day and I’ll see ya soon. Leveling Up – Creating EVERYTHING from Nothing Podcast! I am SO incredibly excited for today! Today is the official release of my podcast Leveling Up – Creating EVERYTHING from Nothing! I’ve spent the past couple months interviewing some incredible individuals who really opened up and broke down how they were able to create the life of their dreams, even when life seemed hopeless. Today, I wanted to give you four incredible episodes because I loved them so much I couldn’t wait any longer! I would love it if you could go over and subscribe, rate, and review on iTunes because I don’t want you to miss any of the new episodes as they come out! Now let me introduce you to my first four friends! Natalie Kern was born and grew up in Ukraine during post soviet collapse, civil war and other political and economical tragedies, Natalia Kern grew up in a small town with without even running water. Natalia had all odds stacked against her for success. Despite this, she had a mom that told her she could accomplish anything she wanted and she thankfully believed her. Natalia taught herself 5 languages, immigrated to the US, and transformed herself into a professional model then an internationally published writer and now today, she is a much sought after successful women who teaches other how to have it ALL. She rewrote her past story and now helps others re-write their story. Today, meet Natalia on a more personal level while she shares with us exactly how you TOO can accomplish ANYTHING that you set your mind to and LEVEL UP creating everything from Nothing. Mike Dillard created 10 million dollars in revenue on a start up business in its first year. 18 months in when he thought he was on track to bring his business to 100 million, his world came crashing down. Overnight his sales were gone, his business tanked , and he most valuable trait that he had, (his reputation) was taken away and used against him. He lost EVERYTHING. His wife, his partner, his possessions, and his voice. When everything is taken from you, how do you shift and create more. How to find self-awareness before you do anything. Why you should live your life for you and nobody else. How are you able to create the next multi-million dollar idea. Chris Harder didn’t just drop out of college, he was KICKED OUT.He was smart though – and hungry – and he learned about sales and leadership early on. When the recession hit, he failed hard and he was stripped of his “fake” identity as he calls it. He sold his possessions, downsized , ate his way to a 30 lb weight gain and tumbled into a sad few years of asking himself “what is my value?” He is now GRATEFUL for what those hard times taught him. Years later, a number of seven figure successful businesses, Chris shares his journey of leveling up with us today. Welcome Chris to Leveling up… creating EVERYTHING from NOTHING. How shifting your mindset will create success. How to use gratitude to manifest your best life. Why money is important but not everything. How you can turn your life around even from your rock bottom. Kim Bauman is now the Founder of One Love Movement, a yoga teacher, and the creator and facilitator of One Love Heroes talk show and podcast. One Love Movement is a nonprofit that brings people together to take action and build support for projects advancing social justice, particularly to under-represented kids. But it wasn’t always like that. Abandoned as a baby in Seoul Korea, with all odds NOT in her favor, Kim Baumans life could have gone in a VERY different direction. You see, nobody gets to choose what or WHERE they are born into, but they DO get to choose what they decide to believe and create in their lives. Kim believes it is her duty, and her purpose, to touch as many people possible and make a difference in the dignity and humanity of their own life. The art of practicing gratitude, compassion, and service. How you can use your message to level up the world. How shifting your perspective can allow for massive growth. 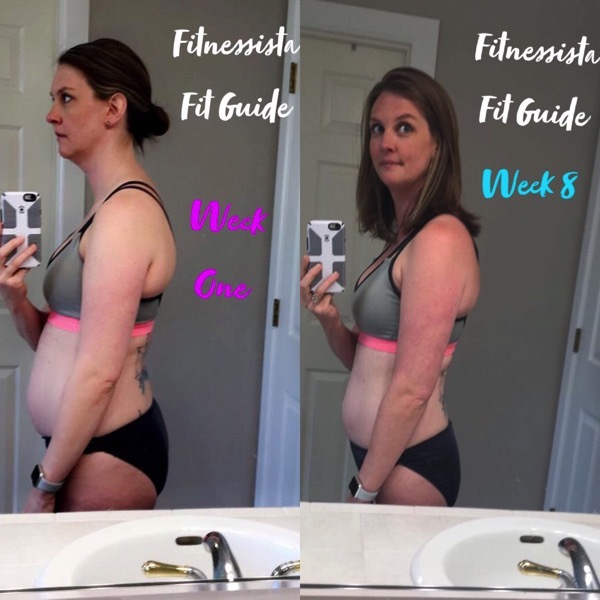 https://behappyfeelfit.com/wp-content/uploads/2018/10/IMG_0263-300x300.jpg 300 300 Justin Schenck https://behappyfeelfit.com/wp-content/uploads/2018/09/Blank-Facebook-Post-1.png Justin Schenck2018-10-01 07:00:542018-10-01 07:00:54Leveling Up – Creating EVERYTHING from Nothing Podcast! New Fit Guides are available (choose from 6!) and they’re better than ever. 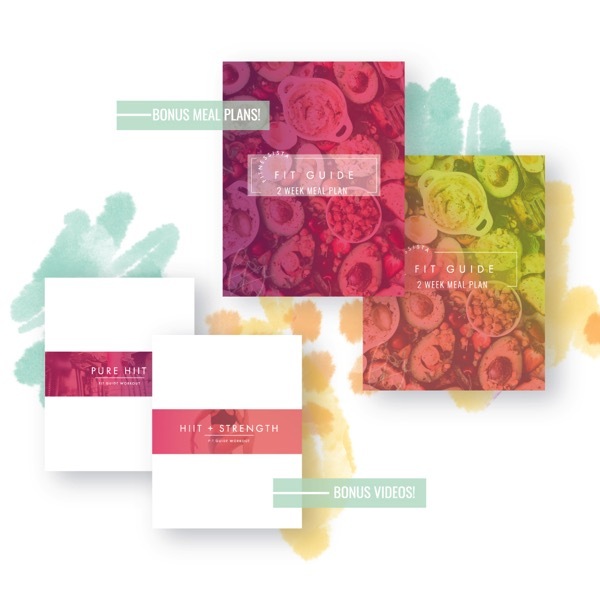 When I first released the Fit Guides, it was on a subscription basis. The feedback was incredible and everyone seemed to love the plans. 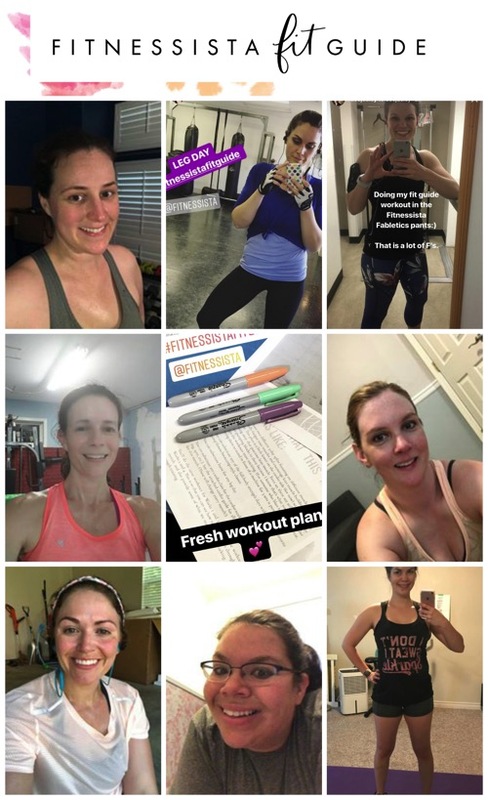 The Facebook group was bumping with testimonials from women who felt stronger, more empowered on their fitness journey, and were crushing their personal goals. When I saw a subscription cancelation notice, I’d usually send a quick email to see if there was any feedback they could share so I could make the plans better. I totally get it. I’m particular about subscriptions, too, and so often, I’d rather pay once and enjoy than have to continue to pay monthly. How do you choose which plan is for you? You can take this free and fun quiz to see what I’d suggest! You aren’t obligated to purchase your quiz result and can choose from any Fit Guide you’d like. If you’re torn between plans, please leave a comment or send me an email and I’ll help you decide. Why did I create these plans? There are a ton of fitness plans in the internet sea, but they’re designed for one person. One type of exerciser, one type of goal, one type of training style. They don’t take into account personal goals and preferences, but instead loop everything into a general plan or category. 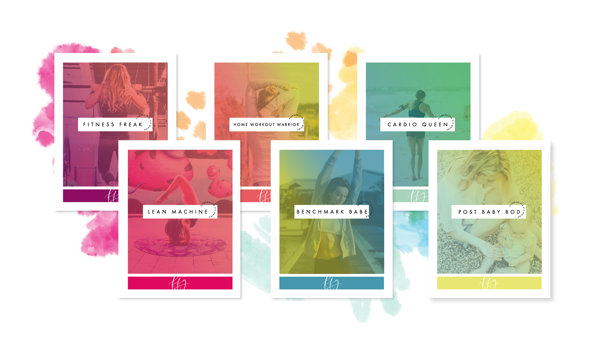 Of course, sharing fitness is a GREAT thing, but I thought that there has to be a better way to customize workout plans. I really wanted to create something different, and something that would cater to the various goals and likes/dislikes that are out there. These are also the types of clients I LOVE TO TRAIN. I truly enjoy creating fitness plans and have been doing it for a long time. There’s a lot of art and science that went into the design and structure of each plan. They’re not something I just threw together; each one was created with purpose (and so much love!). They’re like my lil fitness plan babies. 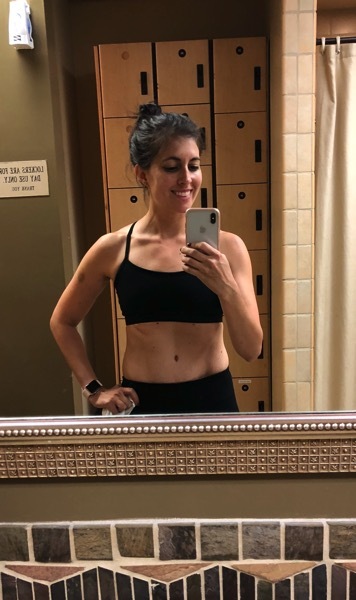 And as a Fit Guide tester myself – I do Lean Machine or Fitness Freak workouts almost every time I strength train – along with more focused nutrition, they’ve changed my body. I feel stronger, leaner, and these solid workouts (in addition to eating more carbs and protein) have me feeling so much more energized. – Those who are comfortable strength training and can execute movements on their own with proper form. We have a comprehensive exercise gallery here and I’m always adding new workout moves! As always, please check with a doctor before making any fitness changes. Take your free fitness quiz here and check out the plans here! The price will jump this weekend to $97, so now’s the time to get dibs on your spot. We’ll be starting the workouts on Monday of next week so I hope you’ll join in the fun. Meet Terri! 37 Pound Weight Loss Success Story! “Thank You is not enough to say to Natalie Jill and the entire team of people that helped me get my life back. I am so grateful for this amazing tribe of women and so appreciative for my new sustainable lifestyle. The opportunity to participate in Natalie’s groups and her Breakthrough Weekend has been a blessing. For most of my life I did not have to worry about my weight. I was active and thin. After suffering a back injury, my workouts stopped and I slowly began gaining weight. I am 50 and want to be active, travel and have fun!! I knew that was hard to do if I was feeling unhealthy and overweight. Most importantly, I would like to say thank you to Natalie Jill for sharing and being fun and positive. My husband and I both enjoy the positive message that you share and the fun way you share it. My goal is to be fit and healthy!! Wow! Go Terri! We are SO PROUD of you! You are FIT, HEALTHY and inspiring us all! YOU can do this too! Get the program Terri followed HERE! https://behappyfeelfit.com/wp-content/uploads/2018/08/Terri-Sherson-Murphy.png 800 800 Natalie Jill https://behappyfeelfit.com/wp-content/uploads/2018/09/Blank-Facebook-Post-1.png Natalie Jill2018-08-23 03:47:242018-08-23 03:47:24Meet Terri! 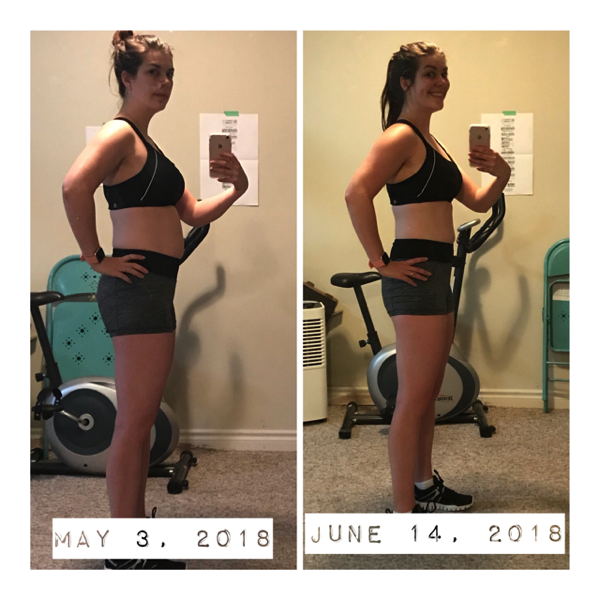 37 Pound Weight Loss Success Story!